The BlackBerry Z10 is already available in the UK and will be landing in Canada starting tomorrow, however those in the US will have to wait a bit longer. The end of March looks like the time when carriers in the states will start to see the Z10 available. 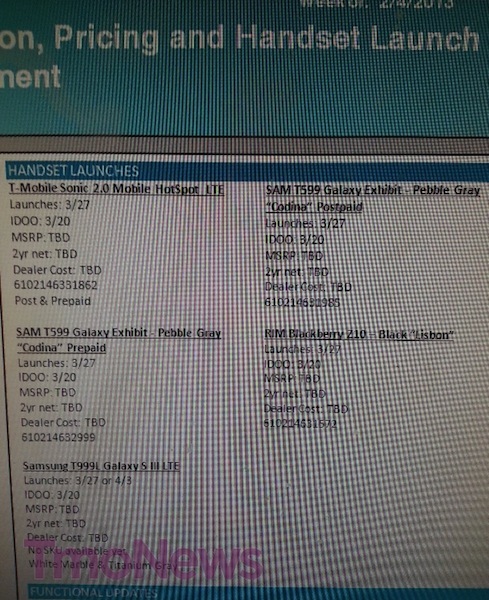 A leaked shot of T-Mobile release dates points to March 27th for the BlackBerry Z10. It sounds about right and we're sure to hear more in the coming weeks, and hopefully other carriers will drop in around the same time.